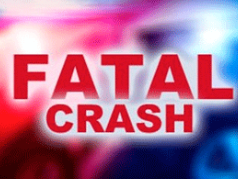 BROWN COUNTY — One person died in an accident just before 6p.m. Tuesday in Brown County. The Kansas Highway Patrol reported a 2016 Kia Optima driven by Justin C. Coelho, 29, Hiawatha, was westbound on 220th Road at Plum Tree Road. The driver failed to yield right of way to a southbound 2003 Dodge Ram driven by Quentin Overdick, 22, Hiawatha. The Kia struck the Dodge in the driver’s side. A passenger in the Kia Kami Nichole Coelho, 28, Hiawatha, was pronounced dead at the scene and transported to Chapel Oaks. Coelho, Overdick and another passenger in the Kia Marc Justin Coelho, 9, Hiawatha, were transported to the hospital in Hiawatha. Justin and Kami Coelho were not wearing seat belts, according to the KHP.